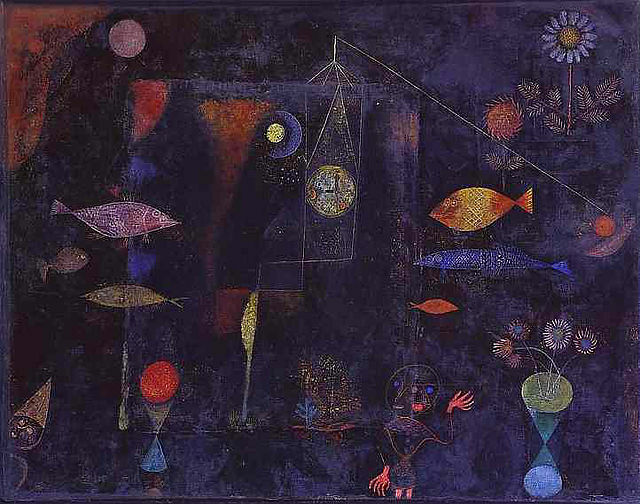 As we hurtle through space towards the solstice and the night sky dominates the Northern Hemisphere, this mysterious and rhythmically alive dream reality titled Fish Magic, painted by Paul Klee in 1925, welcomes this period of deepening to a kingdom where logic no longer reigns. Nature emerges here from the darkness of a deep interior landscape in the primary form of sparkling plants and sea creatures, where time might be fished for illuminated by the moon. When the clock strikes 12 the dream will be over. So I ask you, how have you created your reality? Have your deepest desires and dreams become persuasive enough?